IPT is a time-limited focused treatment originally designed to treat major depression. Its success in randomized clinical trials has led to growth in further research trials to test new populations, inclusion in clinical guidelines, and increasing clinical dissemination. *Adapted in part with permission from M.M. Weissman and J.C. Markowitz (1988). Overview of interpersonal psychotherapy. In Review of psychiatry, Vol. 17, Interpersonal psychiatry (ed. J.C. Markowitz), pp. 1-33. American Psychiatric Press, Washington, DC. 2. Klerman, G.L. and Weissman, M.M. (1993). New applications of interpersonal psychotherapy. American Psychiatric Press, Washington, DC. 3. Weissman, M.M. (1995). Mastering depression: a patient guide to interpersonal psychotherapy. Graywind Publications, Albany, NY. 4. Consumer Reports (1995), November, p. 739. 5. Seligman, M.E.P. (1995). The effectiveness of psychotherapy: the Consumer Reports study. American Psychologist, 12, 965-74. 6. Weissman, M.M., Markowitz, J.C., and Klerman, G.L. (1999). Comprehensive guide to interpersonal psychotherapy. Basic Books, New York. 7. Karasu, T.B., Docherty, J.P., Gelenberg, A., Kupfer, D.J., Merriam, A.E., and Shadoan, R. (1993). Practice guideline for major depressive disorder in adults. American Journal of Psychiatry, 150 (Supplement), 1-26. 8. Depression Guideline Panel (1993). Clinical practice guideline. Depression in primary care, Vols 1-4. AHCPR Publications No. 93-0550-0553. US Department of Health and Human Services, Agency for Health Care Policy and Research, Rockville, MD. 9. American Psychiatric Association (1993). Practice guideline for eating disorders. American Journal of Psychiatry, 150, 212-28. 1Q. Frank, E., Kupfer, D.J., Perel, J.M., et al. (1990). Three-year outcomes for maintenance therapies in recurrent depression. Archives of General Psychiatry, 47, 1093-9. 11. Frank, E. (1991). Interpersonal psychotherapy as a maintenance treatment for patients with recurrent depression. Psychotherapy, 28, 259-66. 12. Klerman, G.L., Weissman, M.M., Rounsaville, B.J., and Chevron, E.S. (1989). Psicoterapia interpersonale della depressione (trans Ceroni). Bollati Boringhiere, Torino. 13. Klerman, G.L., Weissman, M.M., Rounsaville, B.J., and Chevron, E.S. (1996). Interpersonelle Psychotherapie bei depressionen und anderen psychischen störungen (trans. E. Schramm). Schattauer, Stuttgart. 14. Klerman, G.L., Weissman, M.M., Rounsaville, B.J., and Chevron, E.S. (1997). Interpersonal psychotherapy of depression (in Japanese) (trans. H. Mizushima, M. Shimada, and Y. Ono). Iwasaki Gakujyutsa, Tokyo. 15. Puig, J.S. (1995). Psicoterapia interpersonal (1). Rev Psiquiatría Fac Med Barna, 22, 91-9. 16. Blom, M.B.J., Hoencamp, E., and Zwaan, T. (1996). Interpersoonlijke psychotherapie voor depressie: een pilot-onderzoek. Tijdschrift voor Psychiatrie, 5, 398-402. 17. Sullivan, H.S. (ed.) (1953). The interpersonal theory of psychiatry. W.W. Norton, New York. 18. Markowitz, J.C., Svartberg, M., and Swartz, H.A. (1998). Is IPT time-limited psychodynamic psychotherapy? Journal of Psychotherapy Practice and Research, 7, 185-95. 19. American Psychiatric Association (1994). Diagnostic and statistical classification of diseases and related health problems (4th edn). American Psychiatric Association, Washington, DC. 2Q. Parsons, T. (1951). Illness and the role of the physician: a sociological perspective. American Journal of Orthopsychiatry, 21, 452-60. 21. Markowitz, J.C. and Swartz, H.A. (1997). Case formulation in interpersonal psychotherapy of depression. In Handbook of psychotherapy case formulation (ed. T.D. Eels), pp. 192-222. Guilford Press, New York. 22. DiMascio, A., Weissman, M.M., Prusoff, B.A., Neu, C., Zwilling, M., and Klerman, G.L. (1979). Differential symptom reduction by drugs and psychotherapy in acute depression. Archives of General Psychiatry, 36, 1450-6. 23. Weissman, M.M., Prusoff, B.A., DiMascio, A., Neu, C., Goklaney, M., and Klerman, G.L. (1979). The efficacy of drugs and psychotherapy in the treatment of acute depressive episodes. American Journal of Psychiatry, 136, 555-8. 24. Weissman, M.M., Klerman, G.L., Prusoff, B.A., Sholomskas, D., and Padian, N. (1981). Depressed outpatients: results one year after treatment with drugs and/or interpersonal psychotherapy. Archives of General Psychiatry, 38, 5255. 25. Elkin, I., Shea, M.T., Watkins, J.T., et al. (1989). National Institute of Mental Health Treatment of Depression Collaborative Research Program: general effectiveness of treatments. Archives of General Psychiatry, 46, 971-82. 26. Hamilton, M. (1960). A rating scale for depression. Journal of Neurology, Neurosurgery, and Psychiatry, 25, 56-62. 27. Klein, D.F. and Ross, D.C. (1993). Reanalysis of the National Institute of Mental Health Treatment of Depression Collaborative Research Program general effectiveness report. Neuropsychopharmacology, 8, 241-51. 28. Shea, M.T., Elkin, I., Imber, S.D., et al. (1992). Course of depressive symptoms over follow-up: findings from the National Institute of Mental Health Treatment for Depression Collaborative Research Program. Archives of General Psychiatry, 49, 782-94. 29. Sotsky, S.M., Glass, D.R., Shea, M.T., et al. (1991). Patient predictors of response to psychotherapy and pharmacotherapy: findings in the NIMH Treatment of Depression Collaborative Research Program. American Journal of Psychiatry, 148, 997-1008. 30. Sotsky, S.M. (1997). Pharmacotherapy and psychotherapy response in atypical depression: findings from the NIMH Treatment of Depression Collaborative Research Program. Presented as part of Symposium 73 at the American Psychiatric Association 150th Annual Meeting, May 1997, San Diego, CA. Depression Collaborative Research Program. Journal of Consulting and Clinical Psychology, 64, 951-8. 32. Blatt, S.J., Quinlan, D.M., Pilokonis, P.A., and Shea, M.T. (1995). Impact of perfectionism and need for approval on the brief treatment of depression: the National Institute of Mental Health Treatment of Depression Collaborative Research Program revisited. Journal of Consulting and Clinical Psychology, 63, 125-32. 33. Frank, E., Kupfer, D.J., Wagner, E.F., McEachran, A.B., and Cornes, C. (1991). Efficacy of interpersonal psychotherapy as a maintenance treatment of recurrent depression. Archives of General Psychiatry, 48, 1053-9. 34. Thase, M.E., Buysse, D.J., Frank, E., et al. (1997). Which depressed patients will respond to interpersonal psychotherapy? The role of abnormal EEG sleep profiles. American Journal of Psychiatry, 154, 502-9. 35. Klerman, G.L., DiMascio, A., Weissman, M.M., Prusoff, B.A., and Paykel, E.S. (1974). Treatment of depression by drugs and psychotherapy. American Journal of Psychiatry. 131, 186-91. 36. Paykel, E.S., DiMascio, A., Haskell, D., and Prusoff, B.A. (1975). Effects of maintenance amitriptyline and psychotherapy on symptoms of depression. Psychological Medicine, 5, 67-77. 37. Weissman, M.M., Klerman, G.L., Paykel, E.S., Prusoff, B.A., and Hanson, B. (1974). Treatment effects on the social adjustment of depressed patients. Archives of General Psychiatry, 30, 771-8. 38. Frank, E., Kupfer, D.J., and Perel, J.M. (1989). Early recurrence in unipolar depression. Archives of General Psychiatry, 46, 397-400. 39. Rothblum, E.D., Sholomskas, A.J., Berry, C., and Prusoff, B.A. (1982). Issues in clinical trials with the depressed elderly. Journal of the American Geriatrics Society, 30, 694-9. 40. Sholomskas, A.J., Chevron, E.S., Prusoff, B.A., and Berry, C. (1983). Short-term interpersonal therapy (IPT) with the depressed elderly: case reports and discussion. American Journal of Psychotherapy, 36, 552-66. 41. Sloane, R.B., Stapes, F.R., and Schneider, L.S. (1985). Interpersonal therapy versus nortriptyline for depression in the elderly. In Clinical and pharmacological studies in psychiatric disorders (ed. G.D. Burrows, T.R. Norman, and L. Dennerstein), pp. 344-6. John Libbey, London. 42. Reynolds, C.F., Frank, E., Kupfer, D.J., et al. (1996). Treatment outcome in recurrent major depression: a post hoc comparison of elderly ('young old') and midlife patients. American Journal of Psychiatry, 153, 1288-92. 43. Reynolds, C.F., Frank, E., Perel, J.M., et al. (1992). Combined pharmacotherapy and psychotherapy in the acute and continuation treatment of elderly patients with recurrent major depression: a preliminary report. American Journal of Psychiatry, 149, 1687-92. 44. Miller, M.D., Frank, E., Cornes, C., et al. (1994). Applying interpersonal psychotherapy to bereavement-related depression following loss of a spouse in late life. Journal of Psychotherapy Practice and Research, 3, 149-62. 45. Miller, M.D. and Silberman, R.L. (1996). Using interpersonal psychotherapy with depressed elders. In A guide to psychotherapy and aging: effective clinical interventions in a life-stage context (ed. S.H. Zarit and B.G. Knight), pp. 83-99. American Psychological Association, Washington, DC. 46. Mufson, L., Moreau, D., Weissman, M.M., and Klerman, G.L. (ed.) (1993). Interpersonal therapy for depressed adolescents. Guilford Press, New York. 47. Moreau, D., Mufson, L., Weissman, M.M., and Klerman, G.L. (1991). Interpersonal psychotherapy for adolescent depression: description of modification and preliminary application. Journal of the American Academy of Child and Adolescent Psychiatry, 30, 642-51. 48. Mufson, L. and Fairbanks, J. (1996). Interpersonal psychotherapy for depressed adolescents: a one-year naturalistic follow-up study. Journal of the American Academy of Child and Adolescent Psychiatry, 35, 1145-55. 49. Mufson, L., Moreau, D., Weissman, M.M., Wickramaratne, P., Martin, J., and Samoilov, A. (1994). Modification of interpersonal psychotherapy with depressed adolescents (IPT-A): phase I and II studies. Journal of the American Academy of Child and Adolescent Psychiatry, 33, 695-705. 50. Markowitz, J.C., Klerman, G.L., Perry, S.W., Clougherty, K.F., and Mayers, A. (1992). Interpersonal therapy of depressed HIV-seropositive patients. Hospital and Community Psychiatry, 43, 885-90. 51. Markowitz, J.C., Kocsis, J.H., Fishman, B., et al. (1998). Treatment of HIV-positive patients with depressive symptoms. Archives of General Psychiatry, 55, 452-7. 52. Schulberg, H.C. and Scott, C.P. (1991). Depression in primary care: treating depression with interpersonal psychotherapy. In Psychotherapy in managed health care: the optimal use of time and resources (ed. C.S. Austad and W.H. Berman), pp. 153-70. American Psychological Association, Washington, DC. 53. Schulberg, H.C., Scott, C.P., Madonia, M.J., and Imber, S.D. (1993). Applications of interpersonal psychotherapy to depression in primary care practice. In New applications of interpersonal psychotherapy (ed. G.L. Klerman and M.M. Weissman), pp. 265-91. American Psychiatric Press, Washington, DC. 54. Schulberg, H.C., Block, M.R., Madonia, M.J., et al. (1996). Treating major depression in primary care practice. Archives of General Psychiatry, 53, 913-19. 55. Brown, C., Schulberg, H.C., Madonia, M.J., Shear, M.K., and Houck, P.R. (1996). Treatment outcomes for primary care patients with major depression and lifetime anxiety disorders. American Journal of Psychiatry, 153, 1293-300. 56. Rounsaville, B.J., Weissman, M.M., Prusoff, B.A., and Herceg-Baron, R.L. (1979). Marital disputes and treatment outcome in depressed women. Comprehensive Psychiatry, 20, 483-90. 57. Gurman, A.S. and Kniskern, D.P. (1978). Research on marital and family therapy: progress, perspective, and prospect. In Handbook of psychotherapy and behavior change (ed. S.B. Garfield and A.B. Bergen), pp. 817-902. Wiley, New York. 58. Foley, S.H., Rounsaville, B.J., Weissman, M.M., Sholomskas, D., and Chevron, E. (1989). Individual versus conjoint interpersonal psychotherapy for depressed patients with marital disputes. International Journal of Family Psychiatry, 10, 29-42. 59. Spinelli, M. (1997). Interpersonal psychotherapy for depressed pregnant HIV-positive women: a pilot study. American Journal of Psychiatry, 154, 1028-30. 60. Swartz, H.A., Markowitz, J.C., and Spinelli, M.G. (1997). Interpersonal psychotherapy of a dysthymic, pregnant, HIV-positive woman. Journal of Psychotherapy Practice and Research, 6, 165-78. 61. Markowitz, J.C. (1994). Psychotherapy of dysthymia. American Journal of Psychiatry, 151, 1114-21. 62. Markowitz, J.C. (1998). Interpersonal psychotherapy for dysthymic disorder. American Psychiatric Press, Washington, DC. 63. Kocsis, J.H., Frances, A.J., Voss, C., Mann, J.J., Mason, B.J., and Sweeney, J. (1988). Imipramine treatment for chronic depression. Archives of General Psychiatry, 45, 253-7. 64. Thase, M.E., Fava, M., Halbreich, U., et al. (1996). A placebo-controlled, randomized clinical trial comparing sertraline and imipramine for the treatment of dysthymia. Archives of General Psychiatry, 53, 777-84. 65. Markowitz, J.C. (1993). Psychotherapy of the post-dysthymic patient. Journal of Psychotherapy Practice and Research, 2, 157-63. 66. Luborsky, L. (1984). Principles of psychoanalytic psychotherapy: a manual for supportive/expressive treatment. Basic Books, New York. 67. Ehlers, C.L., Frank, E., and Kupfer, D.J. (1988). Social zeitgebers and biological rhythms: a unified approach to understanding the etiology of depression. Archives of General Psychiatry, 45, 948-52. 68. Frank, E., Hlastala, S., Ritenour, A., et al. (1997). Inducing lifestyle regularity in recovering bipolar disorder patients: results from the maintenance therapies in bipolar disorder protocol. Biological Psychiatry, 41, 1165-73. 69. Rounsaville, B.J., Glazer, W., Wilber, C.H., Weissman, M.M., and Kleber, H.D. (1983). Short-term interpersonal psychotherapy in methadone-maintained opiate addicts. Archives of General Psychiatry, 40, 629-36. 70. Carroll, K.M., Rounsaville, B.J., and Gawin, F.H. (1991). A comparative trial of psychotherapies for ambulatory cocaine abusers. Relapse prevention and interpersonal psychotherapy. American Journal of Drug and Alcohol Abuse, 17, 229-47. 71. Fairburn, C.G., Jones, R., Peveler, R.C., et al. (1991). Three psychological treatments for bulimia nervosa: a comparative trial. Archives of General Psychiatry, 48, 463-9. 72. Fairburn, C.G., Jones, R., Peveler, R.C., Hope, R.A., and O'Connor, M. (1993). Psychotherapy and bulimia nervosa: longer-term effects of interpersonal psychotherapy, behavior therapy, and cognitive behavior therapy. Archives of General Psychiatry, 50, 419-28. 73. Fairburn, C.G., Norman, P.A., Welch, S.L., O'Connor, M.E., Doll, H.A., and Peveler, R.C. (1995). A prospective study of outcome in bulimia nervosa and the long-term effects of three psychological treatments. Archives of General Psychiatry, 52, 304-12. 74. Fairburn, C.G. (1997). 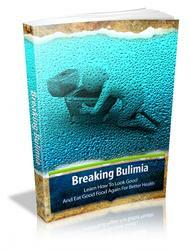 Interpersonal psychotherapy for bulimia nervosa. In Handbook of treatment for eating disorders (ed. D.M. Garner and P.E. Garfinkel), pp. 278-94. Guilford Press, New York. 75. Wilfley, D.E., Agras, W.S., Telch, C.F., et al. (1993). Group cognitive-behavioral therapy and group interpersonal psychotherapy for the nonpurging bulimic individual: a controlled comparison. Journal of Consulting and Clinical Psychology, 61, 296-305. 76. Scott, J. and Ikkos, G. (1996). A pilot study of interpersonal psychotherapy for the treatment of chronic somatization in primary care. Presented at The First Congress of the World Council of Psychotherapy, June 30-July 4 1996, Vienna. 77. Angus, L. and Gillies, L.A. (1994). Counselling the borderline client: an interpersonal approach. Canadian Journal of Counselling (Revue Canadianne de Conseil), 28, 69-82. 78. Stuart, S. and Cole, V. (1996). Treatment of depression following myocardial infarction with interpersonal psychotherapy. Annals of Clinical Psychiatry, 8, 203-6. 79. Wells, K.B., Stewart, A., Hays, R.D., et al. (1989). The functioning and well-being of depressed patients: results from the medical outcomes study. Journal of the American Medical Association, 262, 914-19. 80. Klerman, G.L., Budman, S., Berwick, D., et al. (1987). Efficacy of brief psychosocial intervention for symptoms of stress and distress among patients in primary care. Medical Care, 25, 1078-88. 81. Mossey, J.M., Knott, K.A., Higgins, M., and Talerico, K. (1996). Effectiveness of a psychosocial intervention, interpersonal counseling, for subdysthymic depression in medically ill elderly. Journal of Gerontology, 51A, M172-8. 82. Markowitz, J.C. (1995). Teaching interpersonal psychotherapy to psychiatric residents. Academic Psychiatry, 19, 167-73. 83. Weissman, M.M., Rounsaville, B.J., and Chevron, E.S., (1982). Training psychotherapists to participate in psychotherapy outcome studies: identifying and dealing with the research requirement. American Journal of Psychiatry, 139, 1442-6. 84. Rounsaville, B.J., O'Malley, S.S., Foley, S.H., and Weissman, M.M. (1988). The role of manual-guided training in the conduct and efficacy of interpersonal psychotherapy for depression. Journal of Consulting and Clinical Psychology, 56, 681-8. 85. Chevron, E.S. and Rounsavillle, B.J. (1983). Evaluating the clinical skills of psychotherapists: a comparison of techniques. Archives of General Psychiatry, 40, 1129-32. 86. Rounsaville, B.J., Chevron, E.S., Weissman, M.M., Prusoff, B.A., and Frank, E. (1986). Training therapists to perform interpersonal psychotherapy in clinical trials. Comprehensive Psychiatry, 27, 364-71.